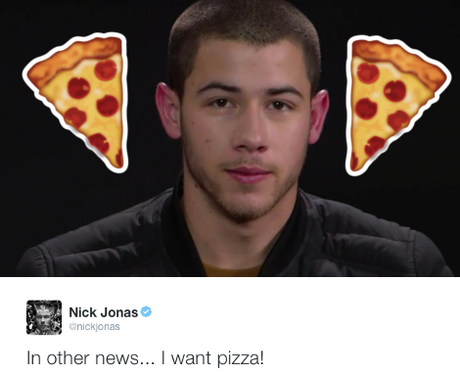 We've taken this tweet as an invite to have a pizza party with Nick Jonas. 6. We've taken this tweet as an invite to have a pizza party with Nick Jonas. That's pretty much what he was talking about, right? Having a pizza party with us? No? Oh.